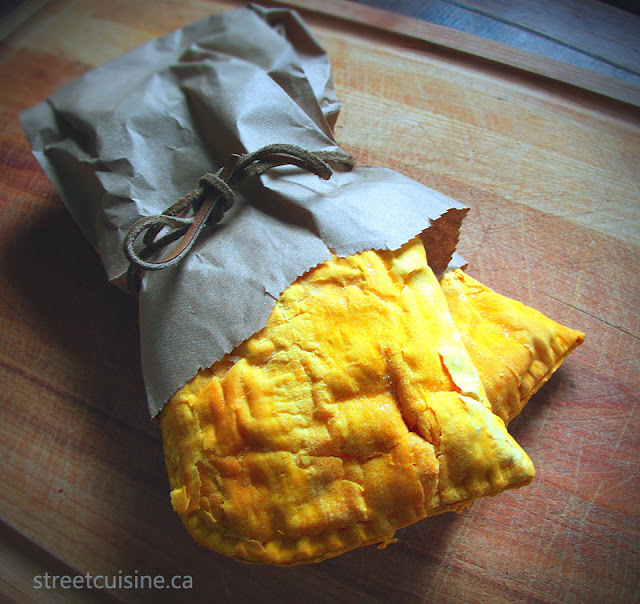 Jamaican patties can be found city wide in convenience stores, gas stations, and even the subway. 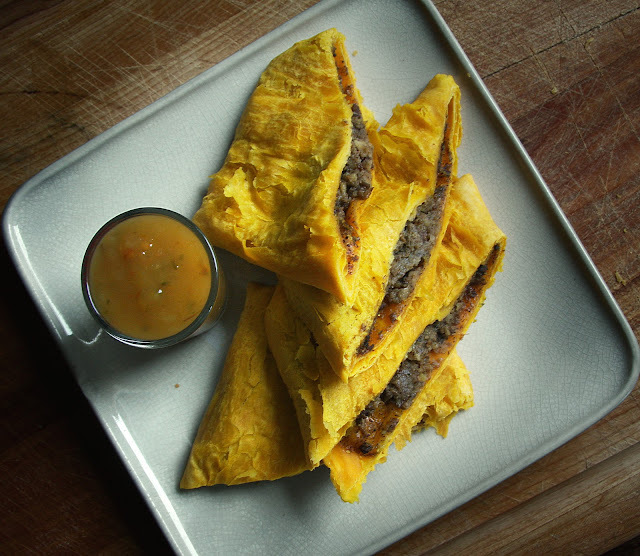 People are very opinionated about who makes the best patties here, and you can find many blogs and forums with long discussions on the subject. 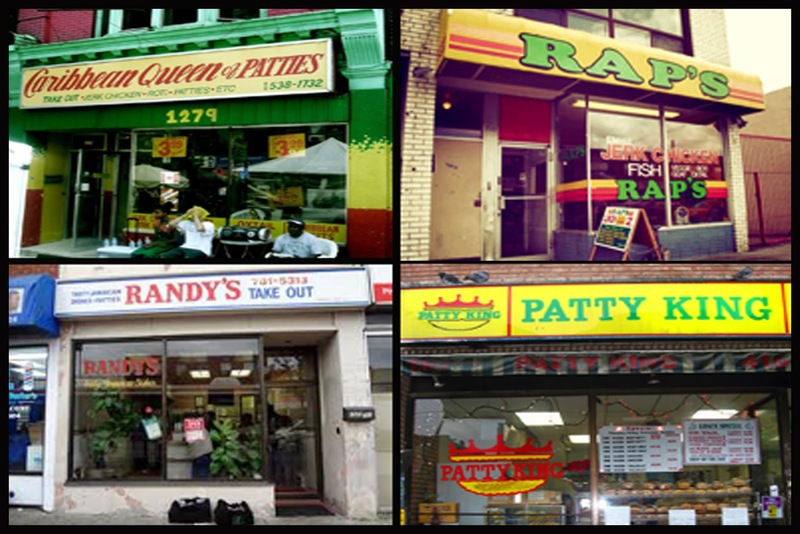 In general most people agree that Randy's patties at Oakwood and Eglinton are the best, with Tinnel's and Allen's representing the East end and Patty King and Caribbean Queen of Patties being two of the downtown favourites. 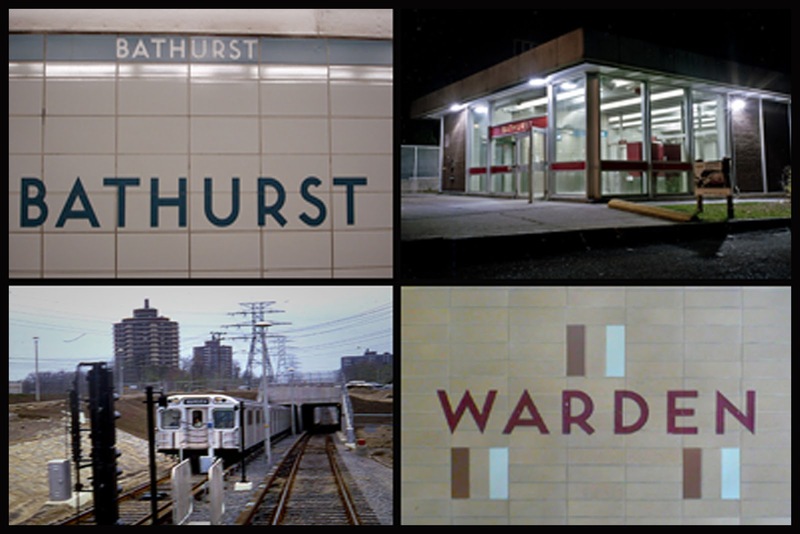 I used to get them at Rap's when I lived up at Eglinton and Marlee, and at Alberts when I lived on Vaughn Road. 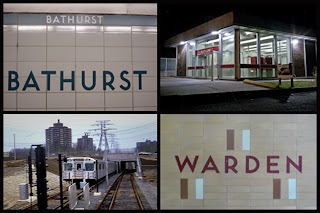 I think some of the best patties come from inside the Bathurst and Warden subway stations at Bakery on the Go. Many people agree and these 2 places sell great patties as well as coco buns so you can make a coco bun/patty sandwich which is delicious, cheap, and filling. 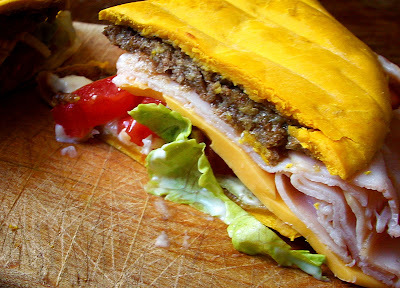 Slice a coco bun in half and stick a patty inside. It's both sweet and hot. Although coco bun patty sandwiches are well known and quite popular in many places, there is a type of patty sandwich that I believe is a unique Toronto invention and possibly one of the only truly Torontonian contributions to the culinary world besides back bacon sandwiches. 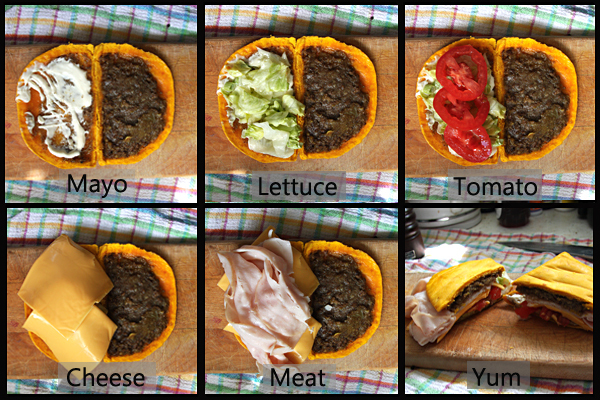 The "Toronto Patty Sandwich" as I will call it, is a Jamaican patty split and filled with lettuce, tomato, cheese, mayo, and some kind of coldcut. It's a real thing and was available in independent donut and snack shops all around Toronto. 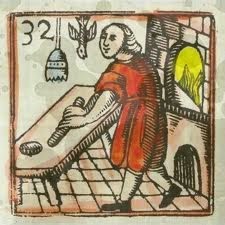 It was a clever way to use day old patties with the lettuce and tomato re-moistening the pastry. I used to buy them all the time at a donut place at College and Grace in the early 90's. 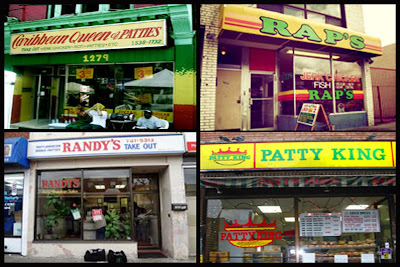 These Toronto Patty Sandwiches are more of a legend now, as chain donut shops and coffee places take over downtown and push out the independents. But I'm sure you'll able to find them still, probably in some little strip malls tucked in various corners of the city. 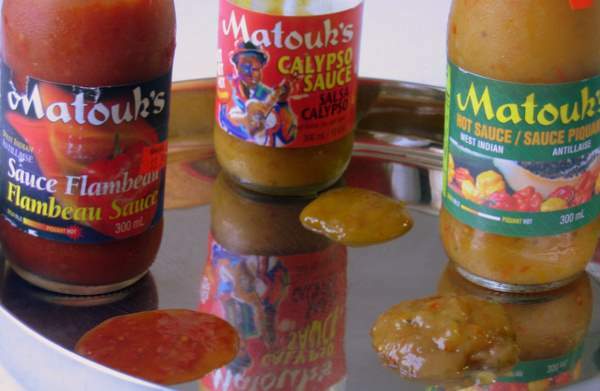 Please comment if you know of any places that serve these. 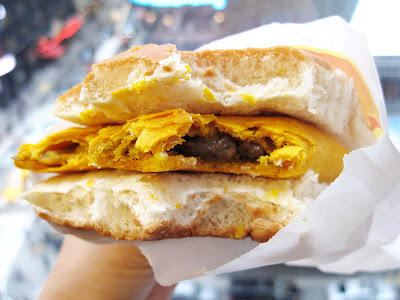 Toronto Patty Sandwiches are an odd guilty pleasure that many people find repulsive. Here is a funny video of a guy in Toronto admitting he likes them with a worried friend talking to him about the situation via a phone message. LOVE the Patty! Can't find them anywhere here in Atlanta, it's one food I always seek out when I head back to Toronto, that and Italian sandwiches from San Francesco in Little Italy.